The Solver Point of Sale Software is a software system which includes utilities to control Point of Sale Machine (POS) –Cash Drawer, Customer Display, Receipt Printer, Keyboard, etc. Whenever there is a sales or any type of stock transaction, the system automatically updates the stock quantity, gives stock position report for any given time. Different levels of user levels like normal user level, administrator level, supervisor level, etc can be set and the security or their access specification can also be defined. The programmable keyboard can be designed for the ease of use. The receipt printing can be either on-line, i.e., while scanning an item, printing the item details in the receipt takes place simultaneously or the consolidated item list can be printed in the receipt at the end. This weighing scale generates bar code depending on the fruit or vegetable weighed its weight, total price and the counter number where it’s weighed. 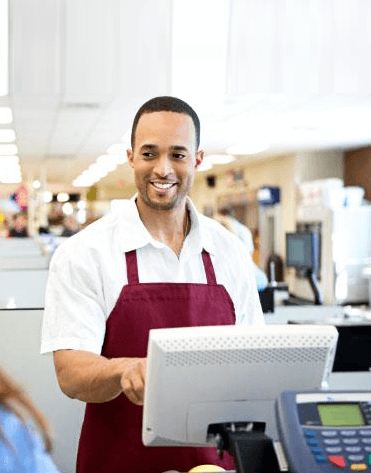 The Point of sale Software system can work independently. It can work both in the on-line and off-line mode. Any power failure will not destroy the data and the last data i.e the last item list will be loaded while the system starts again. The Point of sale Software system allows multi mode of payment i.e., both cash and credit. The credit customers are also allowed in Point of sale billing. Configurable security modules, the user can be restricted up to least entry module. Drill down facility from report to the least entry. Search engine for easy and fast find. Support both code and code less system.